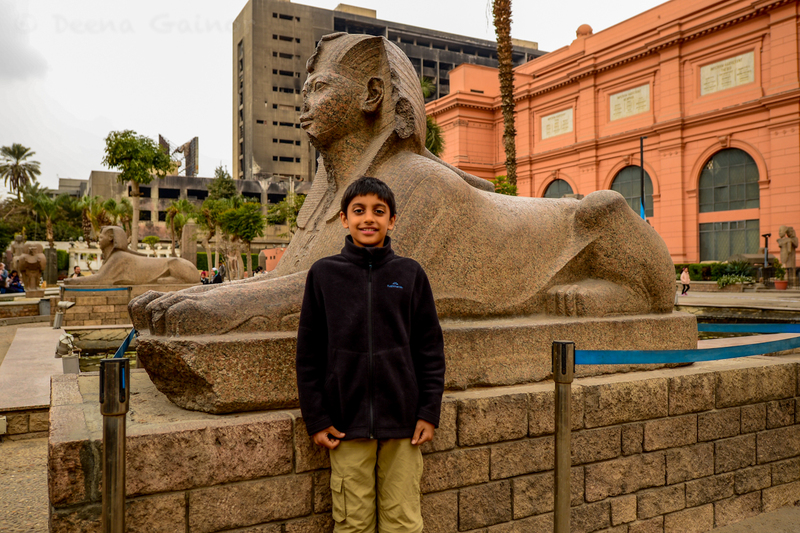 We first flew into Cairo at about 6:00 a.m. which had to mean it was an early morning flight or an overnight flight which was very tiring for me (I snored away on the plane.) We met a woman named Leila (Lay-la,) who was our tour guide for Cairo. She picked us up at the airport. 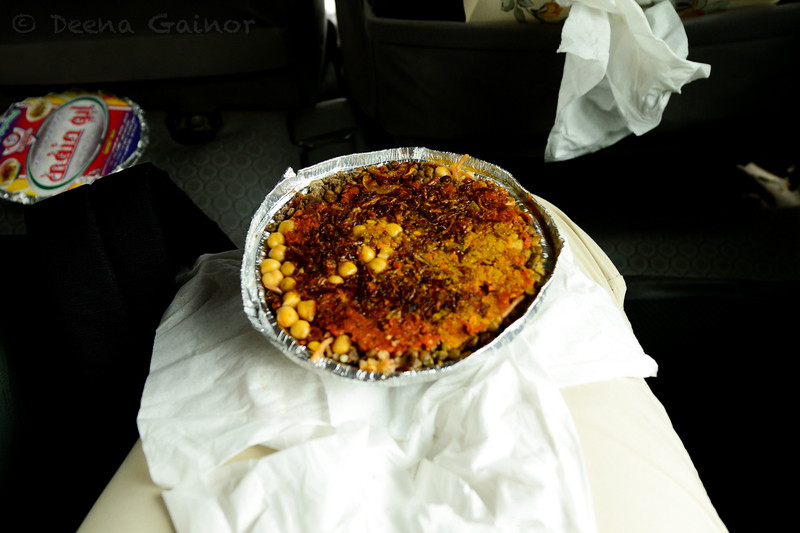 We drove into town, and got Falafel which is a patty of deep fried chick peas in bread. I didn’t like it very much, so I just ate the bread. We then drove to a museum and studied the statues. We looked at some sarcophaguses at then looked at all of the things that were in King Tuts tomb. There were golden knives, masks, bows and arrows, and all sorts of jewelry and chariots. King Tut was known only for his riches, which is why there were so many riches and priceless objects. None of the historic objects interested me very much. Then we got a meal, and suddenly I became very interested, because it had spaghetti and mac and cheese with beans, tomato sauce, corn, and a couple other things that were my favorite! Soon we drove to the Pyramids and climbed one, but the other ones didn’t allow people to climb. We went into one of the pyramids, but it was dark and you had to crawl through a low tunnel. Once we got to the bottom, we had to climb up again, to reach an empty tomb. 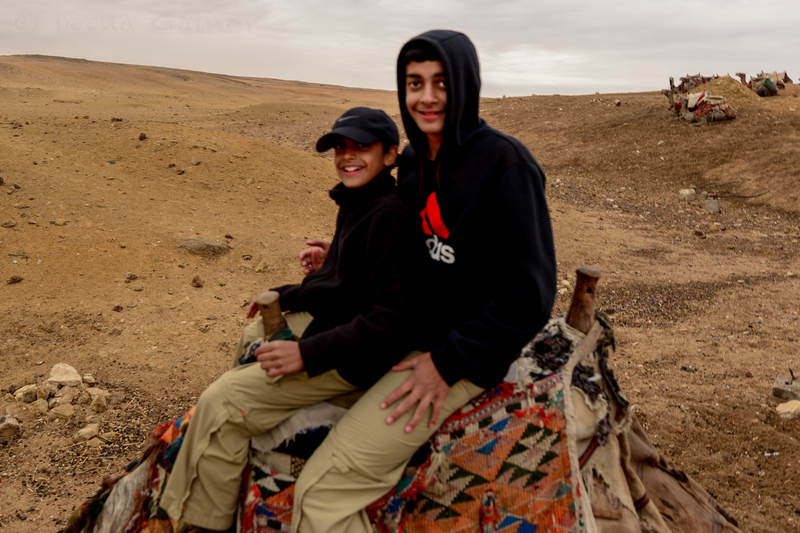 We went back outside of the pyramids after about 25 minutes, and then mounted some tall camels and rode in the dessert. 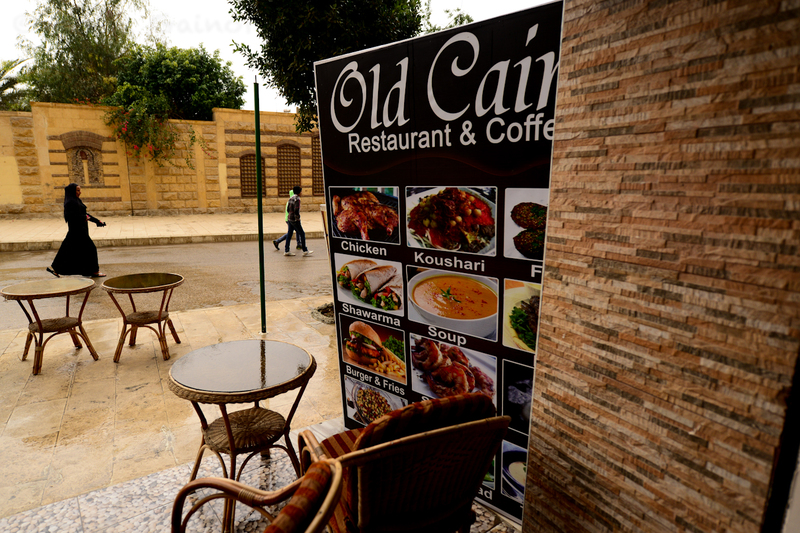 Even though we were in a dessert in Egypt, it was freezing, and it rained a few times. I really enjoyed Egypt, but the weather was pretty harsh! Cool post Danny! I’ve never seen food with spaghetti, mac and cheese, beans and corn! You’ll have to invent a name for it and then try to sell it in the USA! Relish every moment… Love, Grandma “G” Hugga Bugga Bugga!